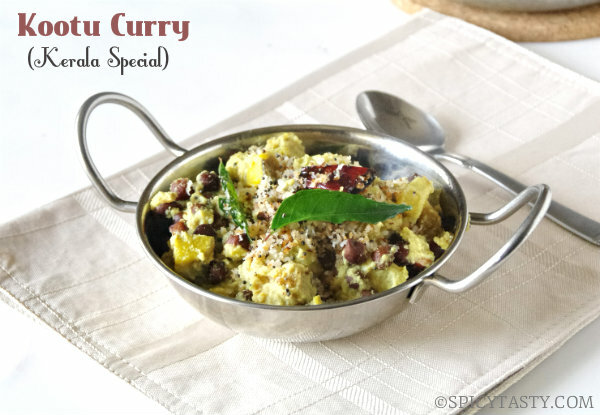 Kootu Curry is a delicious coconut based curry from Kerala cuisine. I made it for the Onam Sadya feast and it has become one of my favorite dish. 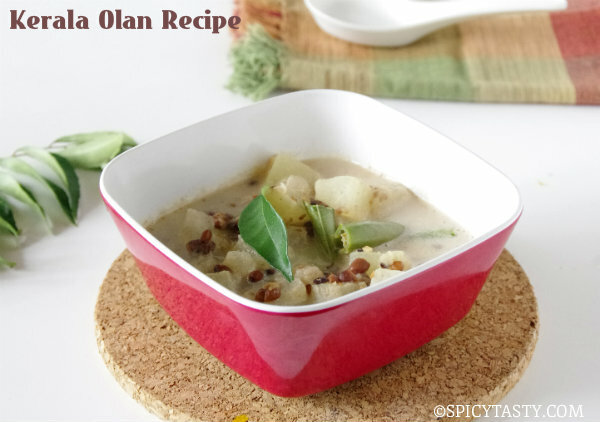 It is a simple and fabulous curry made with plantain and chenai (yam). 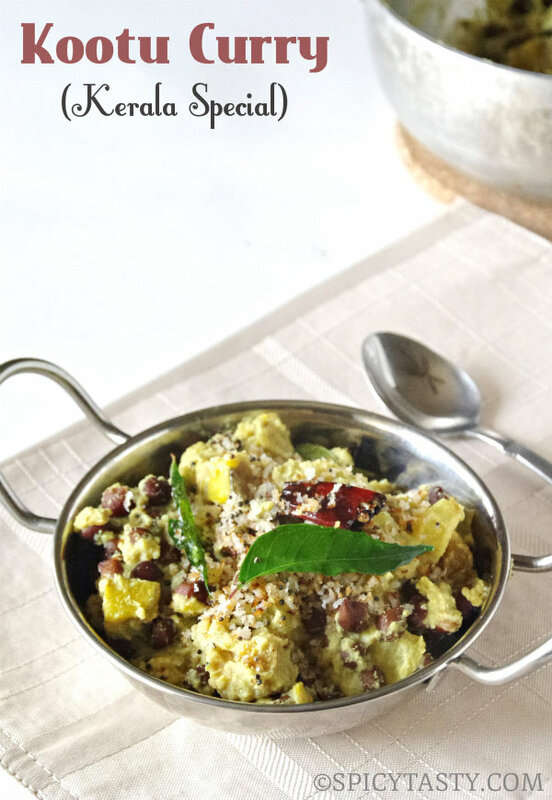 You can serve this dish with rice or roti. Soak chickpeas overnight or for 8 hours. Pressure cook for 4 to 5 whistles or until the chickpeas become tender but whole. Chop all the vegetables into cubes. Grind the ingredients given under the “For Grinding” to a fine paste adding a little water. 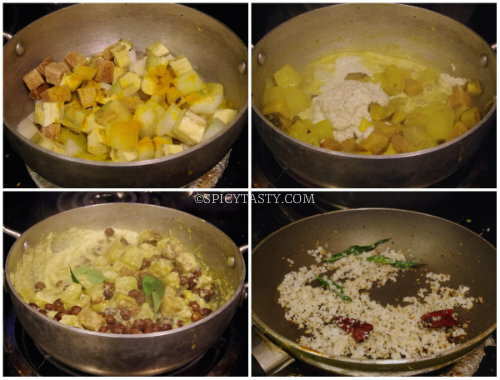 Add all the vegetables in a kadai or deep pan with a cup of water, turmeric powder, chili powder and a pinch of salt. Cover and cook the vegetables until tender and about 90% cooked. Add ground coconut paste to the vegetables along with cooked chickpeas and required salt. Add a little water, mix well and cook for 6 to 7 minutes over low heat. In the meantime, let’s prepare for the seasoning. In a separate pan heat coconut oil and add mustard seeds. When it splutters add dried chili and let it become brown. Add grated coconut and curry leaves. Stir continuously until coconut starts browning. Once the vegetables starts thickening turn off the stove and add the seasoning. Mix well. Kootu Curry is ready. Delicious and lovely looking kootu curry. Excellent preparation. Thank u Veena and Deepa. Delicious – that coconut base is just hard to turn down a second (or third) helping. 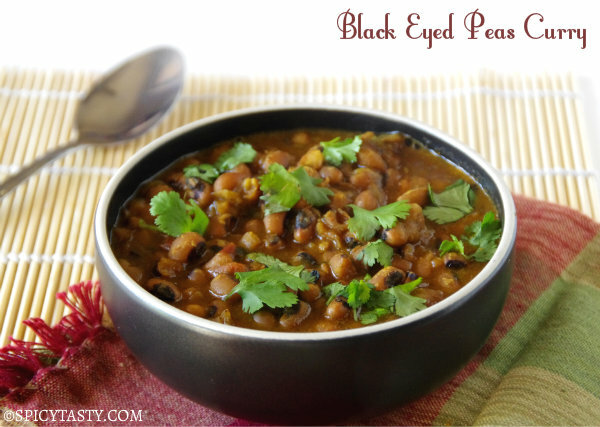 Nice recipe, black chick peas are my favourite!